Dinan in northwestern of France is a walled Breton town. The medieval town on the hilltop with narrow streets and many fine old buildings, is one of the most beautiful villages in Bretagne. Rue du Jersual is one the most spectacular attractions of this beautiful old village. Also, Dinan Harbor is one of the beautiful tourist attractions of the Rance River, with its steep streets connected to Dinan. Château de Dinan was built in the Cotes-d’Armor section of the British-French region in 14th century by the British Duke of Jan. IV. 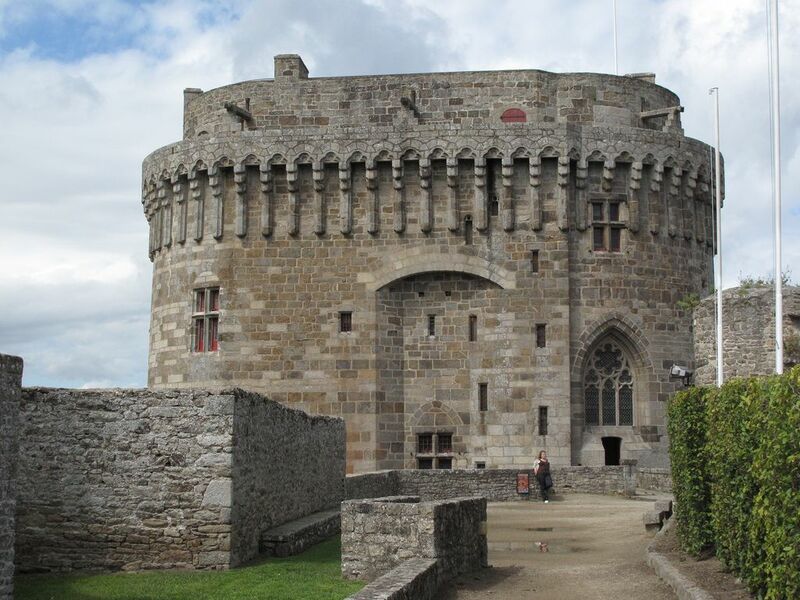 This castle is also known as Donjon de la duchesse Anne. Clock Tower built at the end of the 15th century as a symbol of urban freedom. Clock Tower offers from its height of 46 meters, an exceptional panoramic view of the medieval city. The building’s base is square in 4 floors and has 5 bells. Noguette: The smallest of the four bells in the tower which it’s a Gothic bell. Françoise: Small bell quarter weighs 121 kg which rings every quarter. Jacqueline: Big Quarter Bell weighs 154 kg which rings every quarter. Duchess Anne: The bell of the Hours. 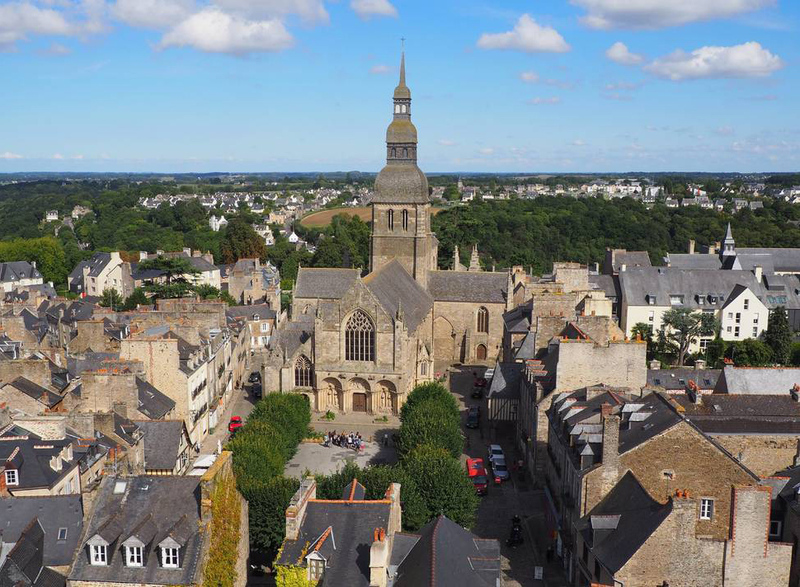 The Basilique Saint-Sauveur Church built in heart of the Dinan with a beautiful view of the Rance River. Romanesque part of the eighteenth century, which includes the ground floor of the southern wall and the western front. Gothic section containing the rest of the building.